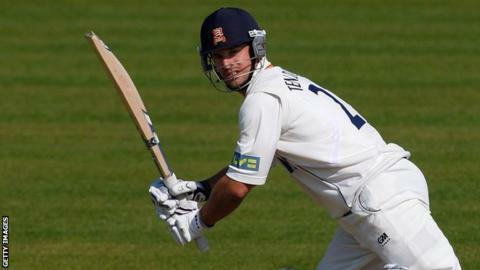 All-rounder Ryan ten Doeschate and former England batsman Owais Shah have signed new contracts with Essex. Ten Doeschate has agreed a deal until the end of the 2014 season, while Shah, 34, has committed for this summer. "I've always wanted to play cricket at the county and I'm hungry to do well at Essex, starting this season," said 32-year-old Dutchman Ten Doeschate. "I have been quiet recently and I now feel I am in a position to do well for the club,"
Head coach Paul Grayson added: "I'm delighted he committed to the club and has been a brilliant player over the seven to eight years he has been here and I'm looking forward to him contributing to the team in the next few years. "I am very pleased that Owais has signed for a year as he's a high quality player who will give us great experience when he returns from the IPL tournament." This season will be Ten Doeschate's 10th for the club, while Shah will be spending his third summer at Chelmsford after joining the club from Middlesex in 2010.